As a Rhetoric and Writing major, you will understand the role of language in building community; negotiating social, political and economic goals; using technology; and clarifying and articulating ethical and aesthetic values. You'll demonstrate your new skill in the classroom and beyond through internships and other activities, including opportunities for leadership. You'll nurture skills, including skills in digital communication technology, for living and making a living. One of a rich range of major and minor degree options that include creative writing, linguistics, communication arts and literature and English studies. Active faculty engaged in research, editing, publishing and service on state, regional, and national boards and committees. Education Abroad opportunities in Chile, England, Spain, Costa Rica, Australia, Japan and South Africa. Opportunities for students to use skills gained in classes in creative outlets such as the University Chronicle, the campus newspaper; Upper Mississippi Harvest, an art and literary magazine; and Kaleidoscope, a multicultural literary magazine. Upper Mississippi Harvest, an annual literary and art magazine published for 30 years by the department, features student poetry, fiction, nonfiction, drama writing, photography, art and comic work. Kaleidoscope, a multicultural literary arts publication, is produced annually. Faculty include playwright Trista Baldwin, co-founder of the Workhaus Collective, and a Core Writer of the Playwrights' Center; Matthew Barton, author of books on video gaming; Tommie Lee Jackson, who writes on race, class, gender and ethnicity; and Bill Meissner, who has published seven books, including "Spirits in the Grass," a novel about a small town ball player. 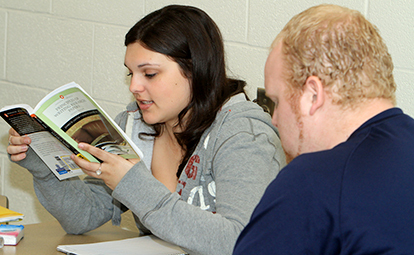 Intensive English Center (IEC) offers programs language instruction to international students.